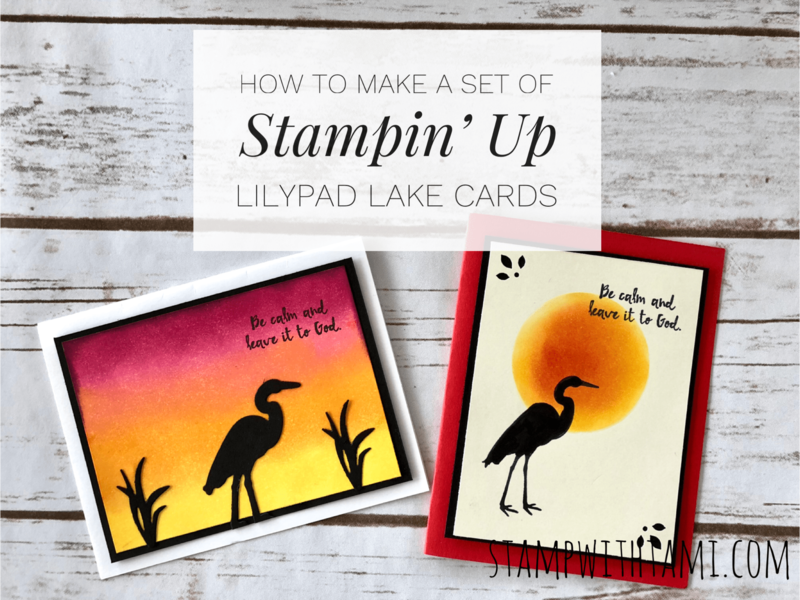 I love today’s cards, I’ve been so excited for the new Stampin Up Lilypad Lake stamp set and coordinating Lakeside Dies to be released. I’m a lover of Great Blue Herons, and the bird in this set can represent other birds, that what I see. 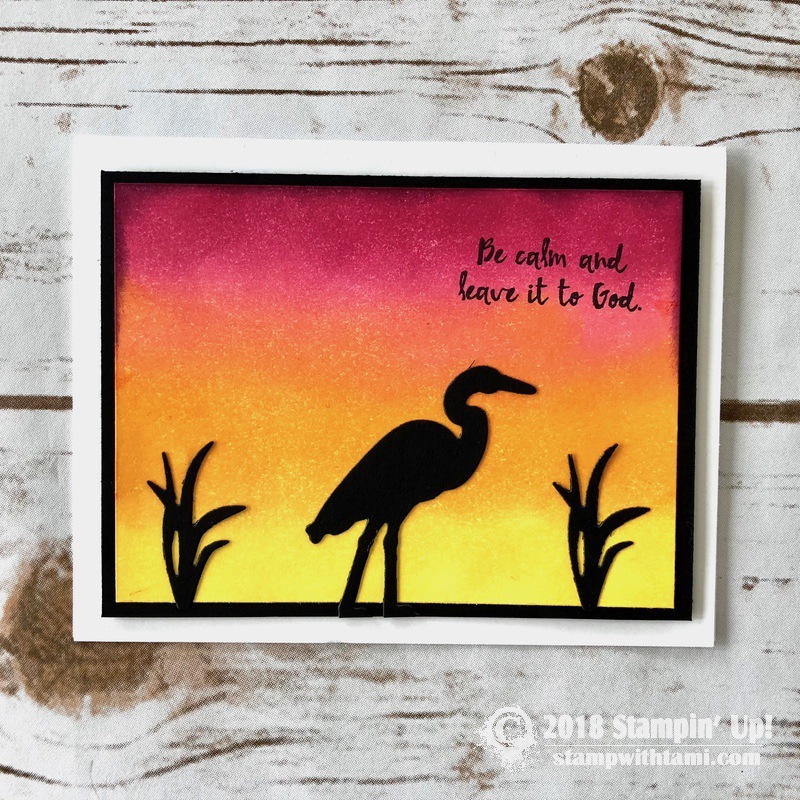 On today’s class I’ll be sharing several fun sponging techniques to create these 2 cards. I’ll also be giving a few of these stamp sets away. Download the free pdf for today’s class below. It includes measurements and a full supply list. Entry to this “after live” prize patrol giveaway is free and requires a video comment entry. To enter the drawing, simply click and watch the video on YouTube or Facebook and leave a comment in the video comments section. No purchase necessary. Click here to see a list of winners and for the prize claim form if you have won. In finally here live, I had a bit of a time finding the comment area love the new colors! I love the new colors that were used on the cards. Shared!!!! I love the cards! I’m anxious to try the shading to make the sun and sky. Beautiful cards! I loved the blending technique that you used. Im in love with this set! Love the inking techniques today. The last card you showed is amazing? 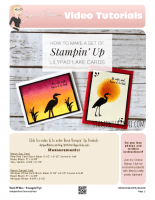 Love the Stamping and prizes are a extra reward. Tami this card has the wow factor. 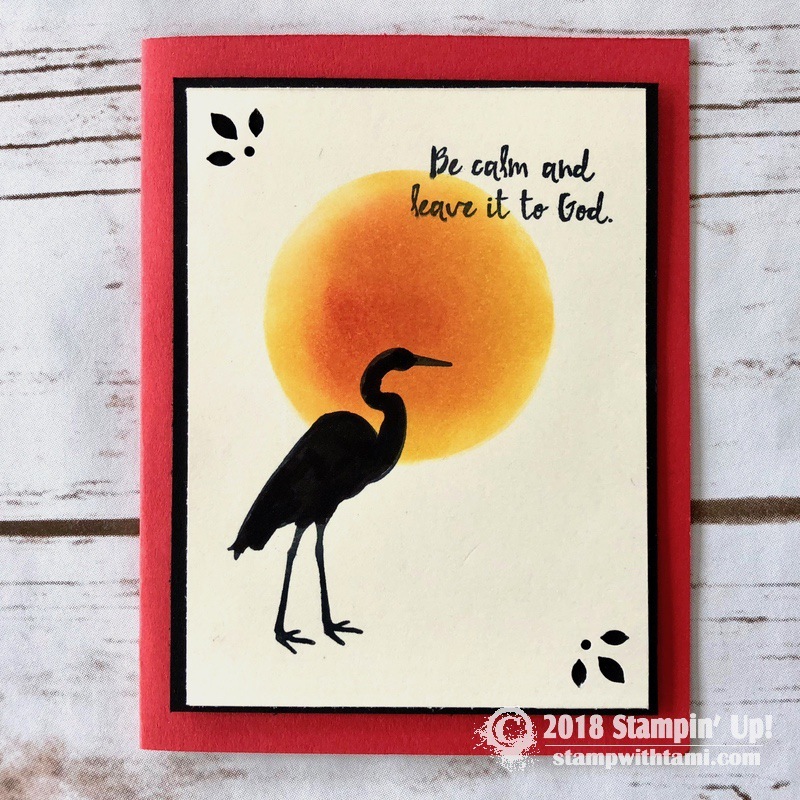 Thank you for sharing your amazing card. Love it! Another great card and idea. shared. I love the cards you made. This stamp set is really cool as well. Lily Pad Lake is perfect! I love the techniques in this video! Thank you for offering the opportunity to win on YouTube! I really like the colors you blended together-a pretty combination. The card looks involved, but it is easy once you master the blending. I shared your video on Pinterest and via email. Mahalo for the generous give aways! Your sponging technique is wonderful and I really like the spot lighted sample that you shared! The Lilly Pad Lake set is one of my favorite bundles. Your cards are beautiful! Would love this set! What a wonderful card! So creative! I can’t wait to get the Lilly lake set, so many possibilities!